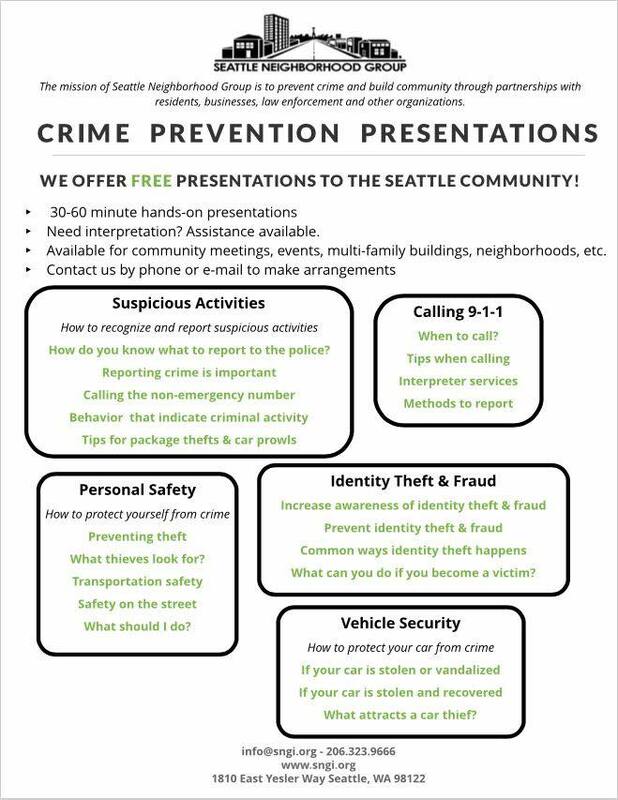 Seattle Neighborhood Group is offering FREE crime prevention education! Topics include Suspicious Activities, Personal Safety, ID Theft/ Fraud and MORE! Contact them by phone (206-323-9666) or e-mail (info@sngi.org) to make arrangements.